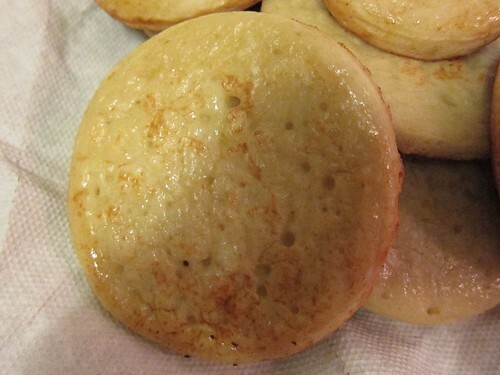 I didn’t try crumpets when I was visiting England, so I only have the pictures to go by, however, that didn’t stop me from trying to make crumpets. I found a recipe online and a video on youtube, and with some mathematics and google I was able to convert the recipe so I can make some crumpets! 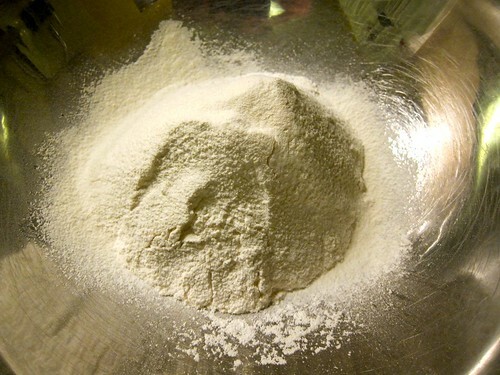 You start out with some flour, I used only bread flour (strong white flour) since we didn’t have any other kind at home. 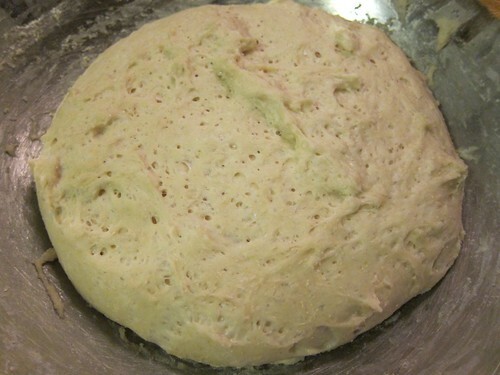 I made it once before and used the correct mixture, and the dough came out better, so be sure to use plain (all-purpose) flour as well. 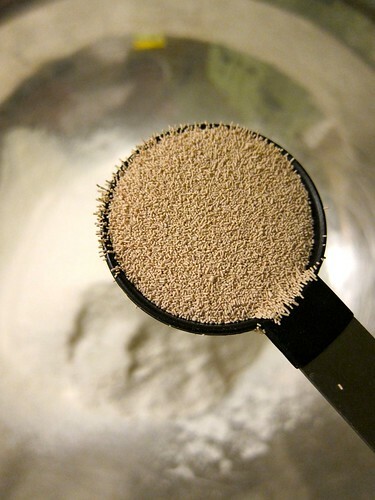 Add some salt, sugar and yeast. 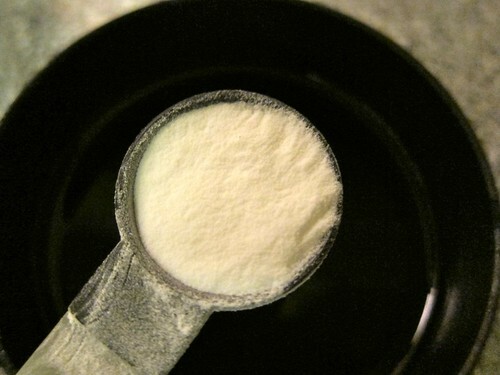 mmmm yeast …. Mix it all together and pour in some warm (not hot!) milk. It’s suppose to have an elastic like finish, not stiff. Let it rise for about an hour, you’ll notice this isn’t as elastic-y as it should be, this is due to only using bread flour, so make sure you use all-purpose as well. 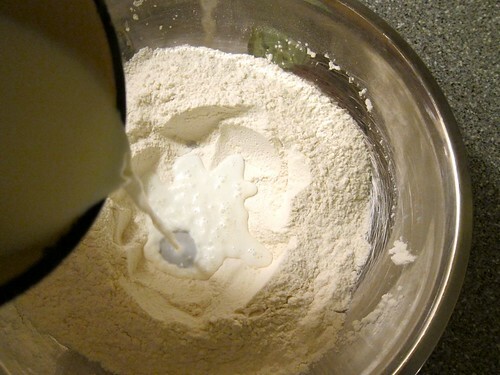 Add some baking soda to some water, then mix that in with the dough. 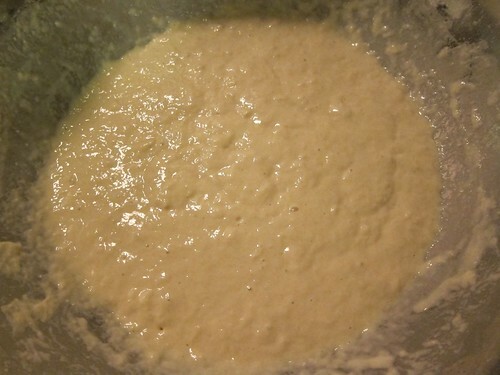 The mixture should be pancake like. I put a bit more milk in because of the lack of proper flour. Let it sit for a little while longer. 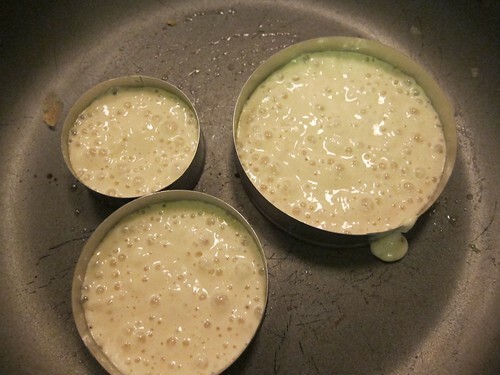 In a buttered pan, using cooking rings (I used cookie cutters instead) cook your crumpets. Then —- TADA! A lovely savoury treat!